Do not let the nondescript exteriors of Ninja Crepes fool you into thinking that the eatery dishes out sub-standard fare. Arrive in the early evening, and you will find a crowd of eager diners waiting to secure a spot to start on their dinner. In most instances, a sizable crowd serves as a good indicator of the taste and quality of the restaurant’s fare. Trust us when we say that you will not go wrong with following the crowd in this case. 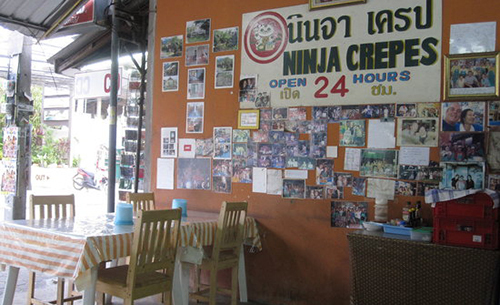 It is not hard to figure out the Ninja Crepe’s undeniable charm: the extensive menu featuring a diversity of Thai dishes, friendly service and excellent fare keeps diners coming back for more. Satisfying your cravings for a hearty brunch at Angela’s. 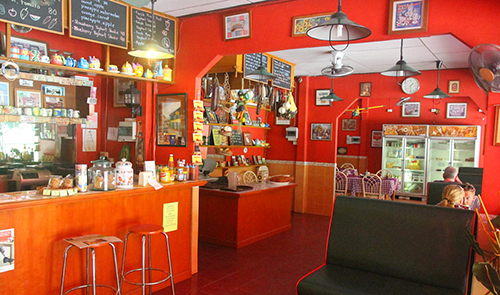 There, you will find a good variety of sandwiches, breakfast mains, desserts, beverages and Thai fare. Pick a buttery pie, try one of the amazing cakes, dig into a savoury breakfast set and round off your mean with a glass of freshly-squeezed juice. You and your little ones will need a healthy appetite in order to polish off the delectable array of food served at Angela’s! 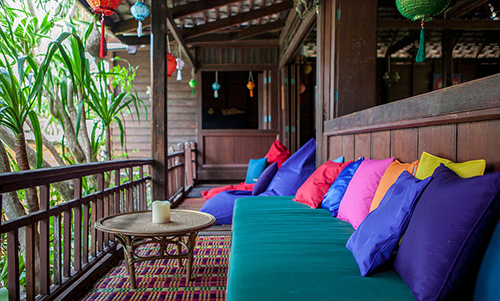 Vegan chef Ian helms the kitchen at this delightful garden cafe situated within the compounds of Yogarden. Vacation makers wishing to start their mornings with light breakfast fare will have a selection of smoothies, juices and tasty snacks to choose from. Browse through the daily menu if you are hungry for heartier options. 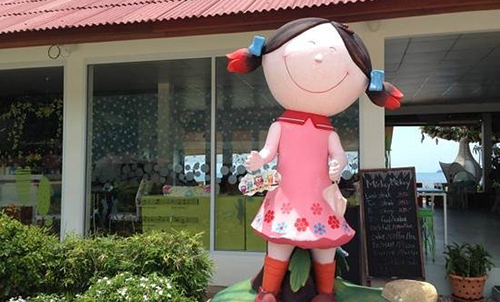 A special children’s menu means that your little ones will get their fill of wholesome and healthy items too. Find more vegetarian and vegan options here. Tuck into a Mediterranean feast in the tropics! Diners can take their pick from two outlets, as Fi Greek Restaurant operates both in Chaweng and Maenam. The casual setting puts diners at ease, and the open plan design brings in plenty of breeze. Carb-lovers will not be able to resist reaching out for endless servings of soft and fluffy home-made pita bread, which pairs up perfectly with the creamy tzatziki dip. 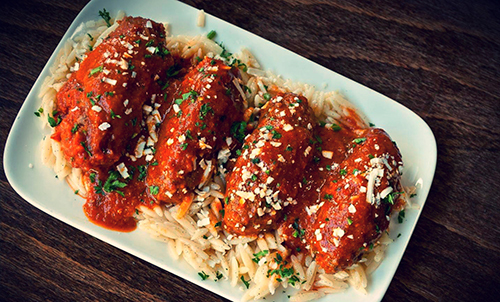 Be sure to order sumptuous vegetarian delights, such as the Greek salad and kolokithokeftedes. If you simply cannot do without meat, the soutzoukakia and tender chunks of souvlaki will not fail to please. The extremely child-friendly Mickey Mickey’s is a paradise for your little ones. 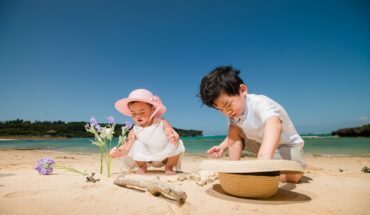 The restaurant features a vibrant, kid-centric decor, a team of lively staff, an outdoor playground situated along the coast and an extensive children’s menu. Take an indoor seat if you find the afternoon heat to be overwhelming, or opt to dine alfresco during the cool evenings. If you have dinner plans for Mickey Mickey’s, be sure to arrive in the early hours of the evening to catch the stunning sunset. 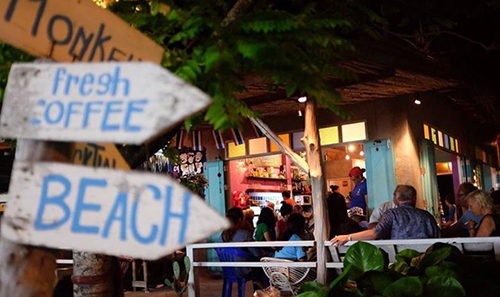 Find more beachfront restaurants here. Quirky interiors. A reputation for brewing up the best coffee on the island. Delicious servings of banoffee pie. Aromatic coffee and roasted coffee beans for the adults. Excellent shakes and ice cream for the young ones. ‘Nuff said. The adventurous are unstoppable when it comes to feasting. 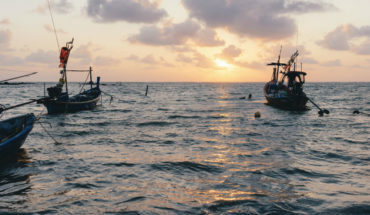 If you fall under this category, it is highly likely that you will enjoy trying out a fascinating selection of street food from the myriad stores at one of Samui’s bustling night markets or walking streets. 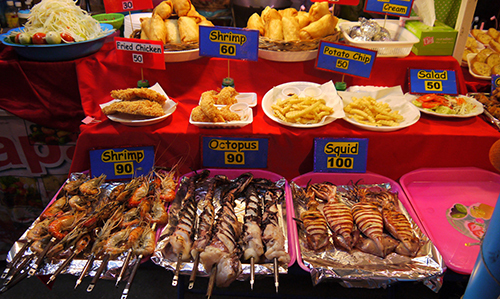 Be prepared to sight sight on a mind-boggling array of grilled items, brightly coloured sweets, traditional desserts, seafood dishes…as well as the occasional tray containing rows of deep-fried insects. Yum. 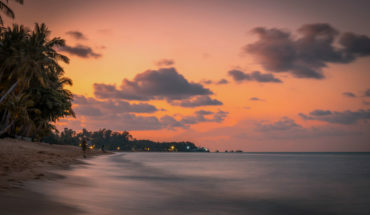 See our villas in Samui here.